Quickly moving dinner from the oven to the table has never been easier. Thanks to TimeSavor™ Ultra true convection, this 4.3 cu. ft. single wall oven efficiently distributes heated air in four directions to deliver consistent baking. Rapid Preheat also takes time out of waiting for your oven to warm up by preheating 25% faster. It's ideal for single rack baking and saves time and energy. 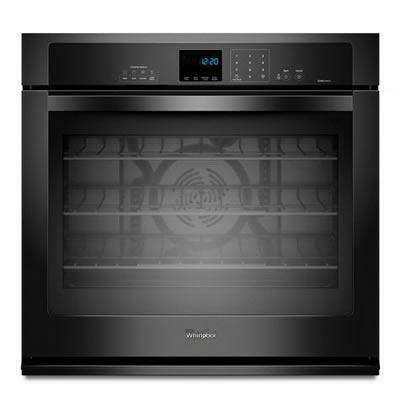 Additional Information AccuBake® Temperature Management System; TimeSavor™ Ultra true convection cooking system; Rapid Preheat; EasyView™ extra-large oven window; FIT System; Convection Conversion; Hidden bake element; SteamClean option; Precise Clean™ cleaning system. Additional Dimensions Cutout Height 28"; Cutout Depth 24" Cutout Width 25 1/2".